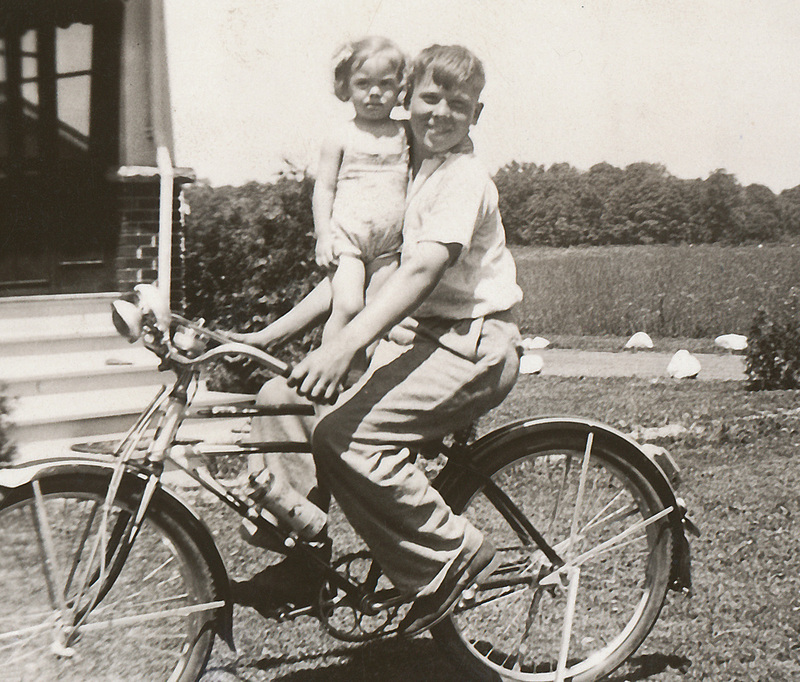 Georgie & sister Edna (1942)"Georgie", as he was called by the family, was born & raised in Cleveland, Ohio in an apartment above his father's butcher shop, Rogers Foods, at 9741 Lorain Avenue in Cleveland, Ohio. As Georgie got older he took on responsibilities as a clerk in his father's butcher shop. He went to school and graduated from West Technical High School in Cleveland, Ohio. When the war broke out, Georgie wanted to enlist and join the fight, but his parents were against the idea. Being a butcher and shop clerk in the meat market, Georgie was exempt from the War draft because, the government felt his efforts were needed at home providing the public a much needed service (in its current state, if the drafts got more severe, his exemption would have eventually been revoked). 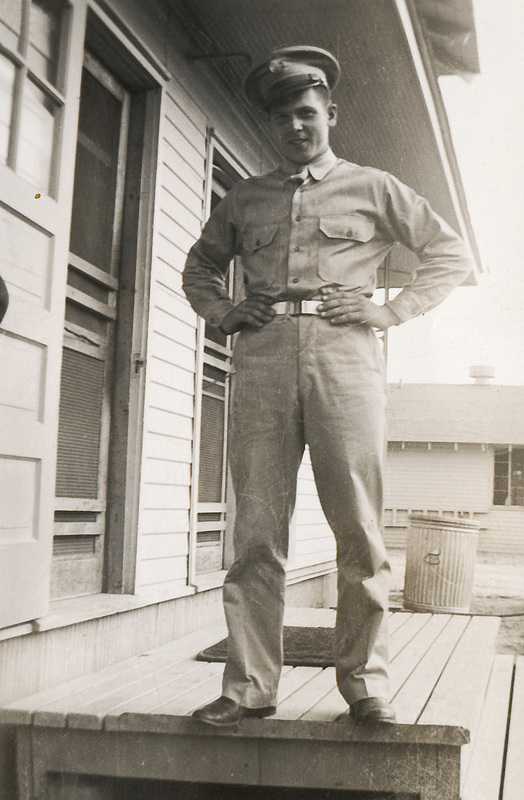 Georgie was enlisted on the 22 June 1942 and started basic training at Fort Benjamin, Harrison, Indiana. 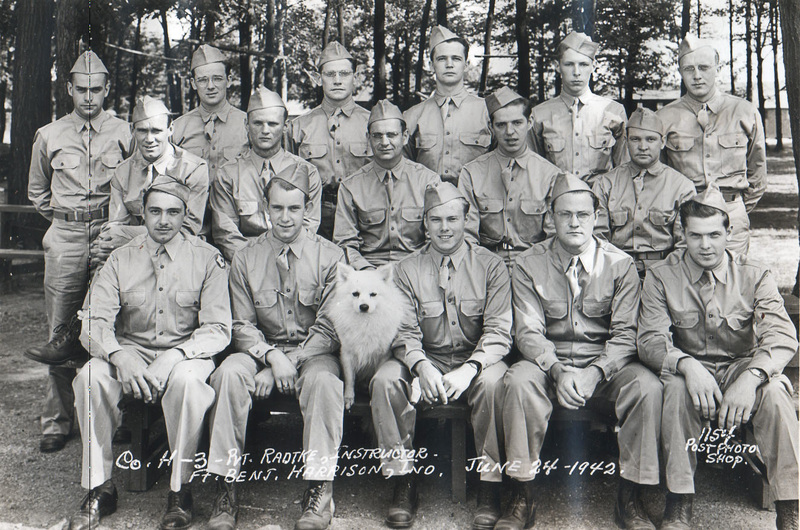 There he trained with Company H-3 under the command of instructor Pvt. Radtke. After the completion of basic, Georgie was assigned to the 91st Cavalry Reconnaissance Squadron, Troop C. There he was lovingly known as "Pancho" by his squad-mates for he always loaded down for battle with crossed bandoleers of ammunition and extra hand grenades, much like the Mexican Revolutionary General, Pancho Villa. He fought in the Africa, Sicily, and Italy Campaigns and was wounded twice. The second of which happened on the 10 Jan 1944 and was reported in the Cleveland Plain Dealer on Feb 26. At the time, Georgie was in Italy actively pushing back the Germans and heading north towards Rome. Georgie (1942)Georgie was killed in action on the 8 Jul 1944 in the vicinity of Montecatini, Italy shortly after taking over command of night recon patrols for squad-mate Fred Salter, who was recently pulled off the front line after receiving word that he had earned his ticket home. A few nights into patrols, Georgie was shot behind enemy lined while returning back to his unit at the end of their nightly recon. Since it is not mentioned specifically, it is assumed that Georgie's death was reported by his fellow squad-mate who accompanied him on the night's patrol. I believe Georgie was clipped by "blind" small arms fire and only his squad mate knew he went down. It took the Army a few weeks to recover Georgie's body since he was behind enemy lines. Georgie's ObituaryOn the 8 Aug 1944, Georgie was temporarily buried in Follonica, Italy at a United States Military Cemetery (Plot C, Row 36, Grave 423); This was the site of Georgie's temporary military burial before the war ended. After the war, Georgie was returned home for a proper family burial at the family burial plot in Columbia Station, OH which took place on 8 Dec 1948. 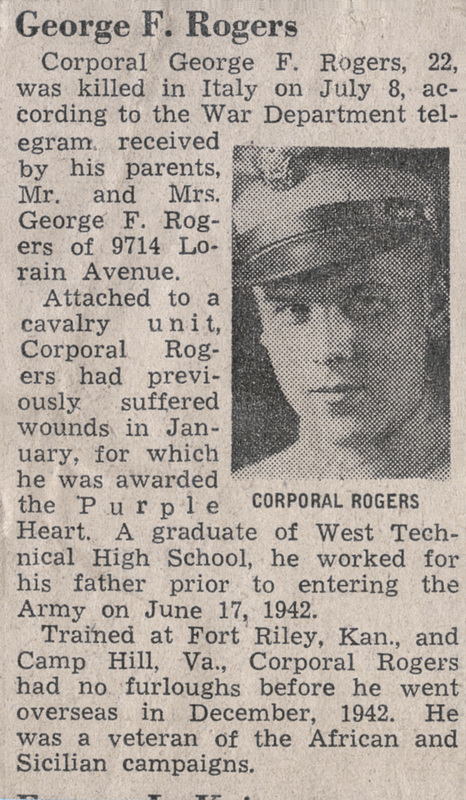 At home, the family was running the butcher shop the day the Army personnel drove up to the front of the store to deliver the news of Georgie's passing. His parents immediately knew what the arrival of the cars meant and the news was crushing. As the Army personnel entered through the front door, family remembers customers quietly backed out as quickly as they could. Georgie's parents broke down and fell into a deep depression. The family was not sure they would ever recover. Georgie's sister Edna and her husband Ralph had to take over the day-to-day operations of the butcher shop to keep the business alive and prevent it from going under. The family even started construction on a pair of houses, side-by-side, sharing a driveway on Westwood Drive out in Strongsville because there seemed to be no recovery in site. Daughter Edna felt she would need to move her parents next door to her so they could be cared for full time. I can't say that things ever returned to "normal" for the Rogers'. 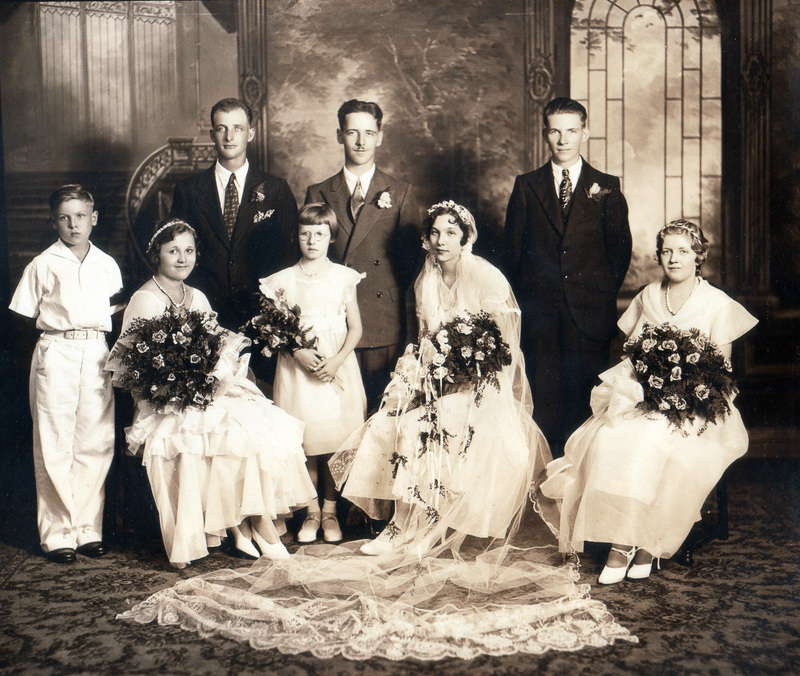 Life carried on, but Georgie's memory weighed heavily upon the family. His name was not mentioned and he was not brought up for fear of the amount of pain those feelings and memories would bring. Grandchildren and great grandchildren would learn about Georgie and his sacrifice through Ralph and his daughter, who was 10 when Georgie passed. She was incredibly close to Georgie and idolized him. Georgie's mother Edna tried for years to get information on her son's death out of the Army, but beyond a brief summary stating George took small arms fire near Montecatini, she never succeeded in getting the information she wanted. Many years were spent wondering what happened to their son and wishing for some closure beyond his burial at home. Edna also tried to get information regarding Georgie's personal affects after he passed. She specifically wanted to know what happened to her son's camera. 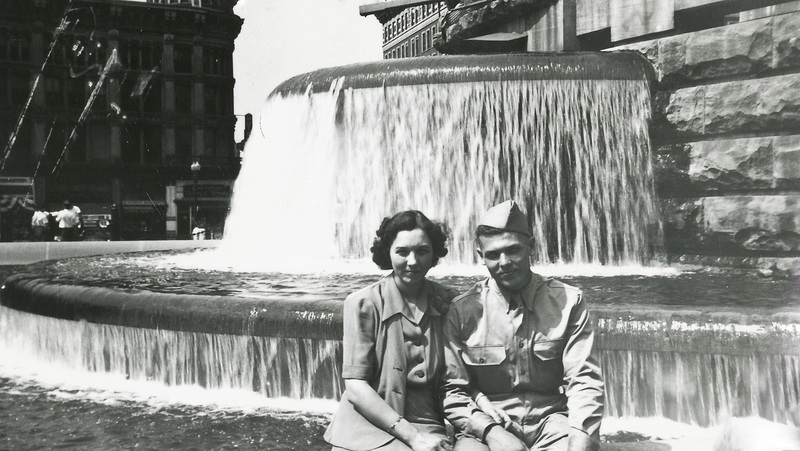 She wanted to have something to hold onto even if it was just photos he had taken from his time at war. Her request was never acknowledged. A This sentiment has been recounted in numerous interviews of veterans. A different time when civic pride and public duty had meaning and the horrors of war were an unknown to most people. There are many stories of young men who were rejected from the Army draft, for various physical or medical reasons, went on to suffer from severe depression and some even committed suicide for not being able to serve their country. 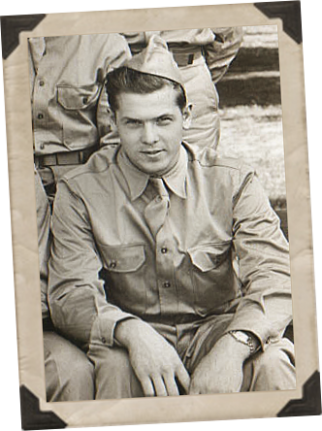 B Georgie served side-by-side with fellow soldier of the 91st Recon, Fred Salter. Mr. Salter was one of 3 original members of Georgie's 91st to make it home. Fred suffered from PTSD for many many years thereafter. He traveled and roamed a lot (not unlike the fictional Vietnam Vet of movie fame, John Rambo) and when he finally settled down, he built his home in the wilderness and seclusion of the mountains of Montana. Part of his process for healing and coping was to write about his experiences. Fred became an author. First, writing about his times adrift in the wild and coping with his PTSD, and then, finally, revisiting the horrors of war to honor his fellow brothers-in-arms and tell the stories of the 91st Recon Squad in his book, RECON SCOUT. This book provides a rare glimpse into Georgie's life at war and gives our family answers to questions that countless letters to the government were never able to supply. For that we are eternally grateful. The only regret is that my discovery of Fred's book came 9 years too late to share with Georgie's sister. What happened to Georgie's camera and other personal affects? 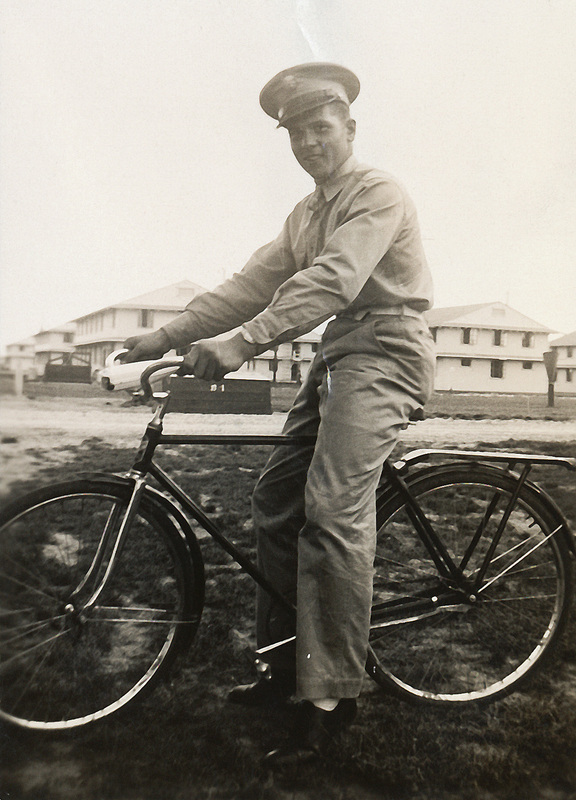 Squad-mate Fred Salter wrote the family saying they should receive it soon along with his other belongings, yet as far as we know the Army never returned it to the family.